Why spend time this Mother’s Day looking for gifts or spending money on flowers, when you and your Mum could be relaxing and enjoying a spot of pampering together. To treat your Mum to something extra special we’ve put together a list of our top five luxury spa breaks for Mother’s Day. 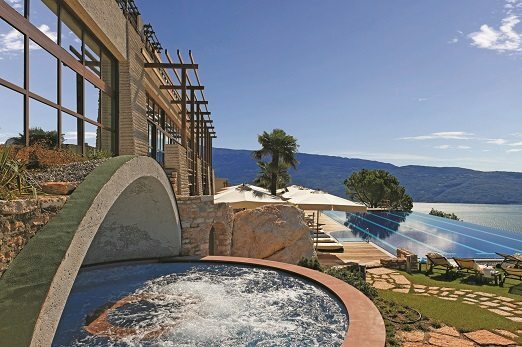 Set on a hillside in one of Europe’s most beautiful landscapes the five-star Lefay Resort & Spa is perfect for you and Mum to relax together and take in the surroundings. This luxurious retreat prides itself on eco-sustainability and offers and a comprehensive range of treatments in its spa. The spa also offers thalassotherapy, hydrotherapy and phytotherapy plus facilities including an indoor pool, whirlpool, salt-water lake, saunas, relaxation area, fitness area, park with running circuit, wellness path and therapeutic gardens. The new Kallisté wellness programme at the hotel works towards ‘total beauty’ taken over three days at the hotel accompanied by a detoxifying, low-calorie La Leggerezza nell’Essere menu. With a variety of health and beauty treatments including a Intraceutical face oxygen therapy treatment, Biothermic anti-ageing lifting face treatment, Salt and caper body scrub and Lefay SPA Method specific energy massage within the first session. Over the next couple of days enjoy hair and beauty treatments and a make-up seminar designed for the new you. The grand and prestigious Intercontinental Amstel Amsterdam hotel overlooks the Amstel River and is close to some of the city’s top cultural attractions. The state-of-the-art health and fitness club boasts cardio and weights equipment, heated indoor Roman-style swimming pool, sauna, Turkish bath and Jacuzzi. Start your day at the Health Bar before enjoying these excellent facilties or take advantage of the hotels personal trainers or masseuses available to you. For a little temptation visit the exquisite Michelin starred La Rive restaurant for French Mediterranean cuisine and fantastic river views. If you are looking for somewhere warm and exotic this Mother’s Day then just a four hour flight from the UK is the vibrant and charismatic city of Marrakech. 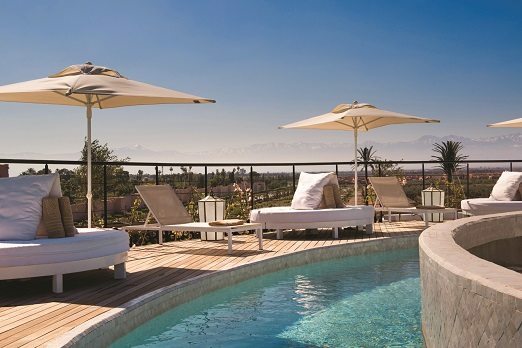 The chic and elegant The Pearl Marrakech is centrally located to the city’s main sites and offers a superb spa. The spa boasts treatment rooms, VIP suite, beauty salon, indoor pool and fitness centre. With luxurious Maroc beauty products used in treatments you can truly relax in Morocco. To further your relaxation, enjoy the outdoor rooftop swimming pool and the Sky Lounge offering 360 degree views of the city and out to the Atlas Mountains. 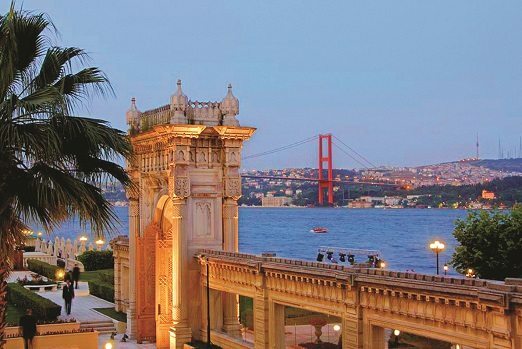 Escape to Istanbul to relax and unwind in pure luxury at five-star Ciragan Palace Kempinski. The fitness centre is open 24 hours and there is also an indoor pool, sauna, whirlpool and stunning heated outdoor infinity pool. Choose from the spas range classical massages, Asian massage therapies, beauty treatments or enjoy a traditional Turkish Hamam. Overlooking Hyde Park the celebrated The Dorchester hotel offers outstanding luxury and service. In the midst of the bustling capital, you and your mother can relax at the hotel’s exceptional spa. This beautiful oasis offers numerous treatments including signature treatments such as an Aromatherapy Associates massage and Carol Joy London Facial. 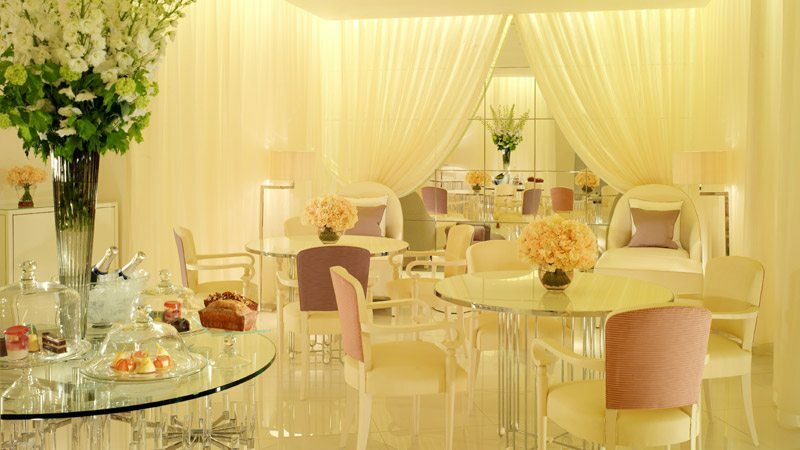 After your treatments head to The Spatisserie for light lunches or a delightful afternoon tea with champagne and spa cocktails. This informal dining space is the perfect way to round up a pampering weekend for Mother’s Day. What will you treat your Mother to on Mother’s Day? Share with us on Facebook. 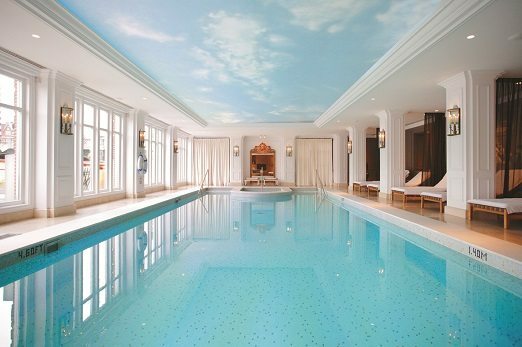 Or, for more spa break inspiration visit our post ‘Why choose a luxury spa holiday‘.